As our commemoration of our founding 10 years ago winds down, we want to extend a big thank you to those who helped us recognize such an important milestone. 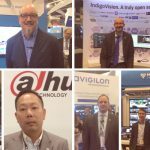 Whether you celebrated with us at the many ONVIF member meetings this year, posed for a member photo at a trade show, participated in member roundtables or contributed to the newly launched ONVIF Blog, we appreciate your continued support that highlights what makes ONVIF so special: collaboration amongst competitors, and a common goal of interoperability. Since our founding in 2008, ONVIF has experienced many milestones that would not be possible without our member companies. We would like to take this opportunity to highlight a few that have resulted in a lasting impact on the industry at large. 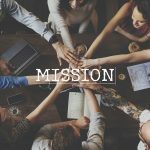 First, ONVIF was founded on the idea of collaboration. In 2008, a small group of manufacturers came together to accelerate the acceptance of systems based on network surveillance cameras. With a goal in mind to provide greater freedom of choice for installers and end users, Axis, Sony and Bosch hoped that simplifying product developments for manufacturers would allow developers to spend more time on innovation. Just one year later, ONVIF launched its first conformant product, Profile S, designed for IP-based video systems, with specifications that include support for PTZ control, audio, multicasting and relay outputs. Though the first profile released, it is still the most widely used profile on the market today. In 2010, ONVIF took a major step to extend its standardized interface between access control system components as well as between network video and access control systems. 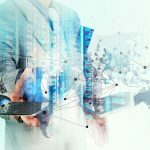 This redefined the market perception of ONVIF outside of the network video realm, and further solidified its member driven approach in the market. With expanded reach, ONVIF formed new working groups to focus on specific aspects of specification development. By 2011, ONVIF had over 300 members and more than 1,000 conformant products – not bad for three years! 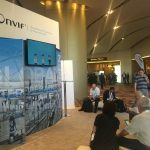 With a new breadth of product choice in place, the increased membership and conformant product level showcased the expanding reach of ONVIF in the market. By June 2012, the number of conformant products doubled to 2000 in less than a year. We also saw an increase in manufacturers, distributors and other technology firms joining as members. By 2015, ONVIF grew to more than 500 members and more than 5,000 conformant products – an exponential increase from the 13 original members in 2008. From 2016-2017 we had the most members join in a two-year span. We also released Profile Q for quick installation and Profile A for broader access control configuration. The increase in membership, coupled with the release of two new profiles, further defined the role of ONVIF in the market. In 2018, we have more than 10,000 conformant products and have released Profile T for advanced video streaming. Thank you again for helping us celebrate such a milestone, and we are excited to see where the next decade takes us. We hope you will join us and help us continue our work of providing crucial pathways to interoperability in the security market and beyond.